Mint is named as Pudina in Indian Language. 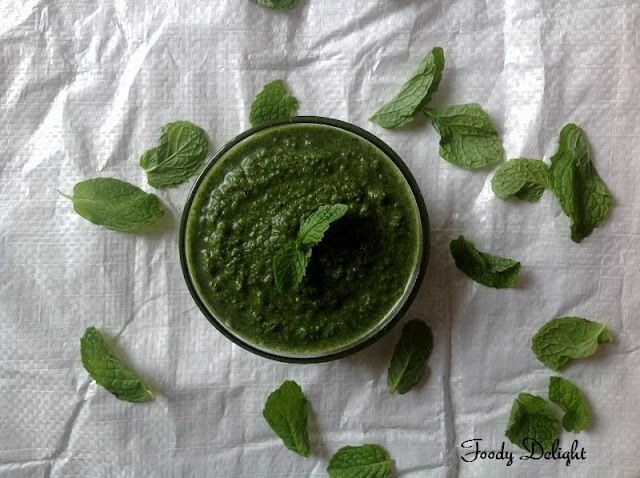 This herb gives the lovely green colour to the chutney. 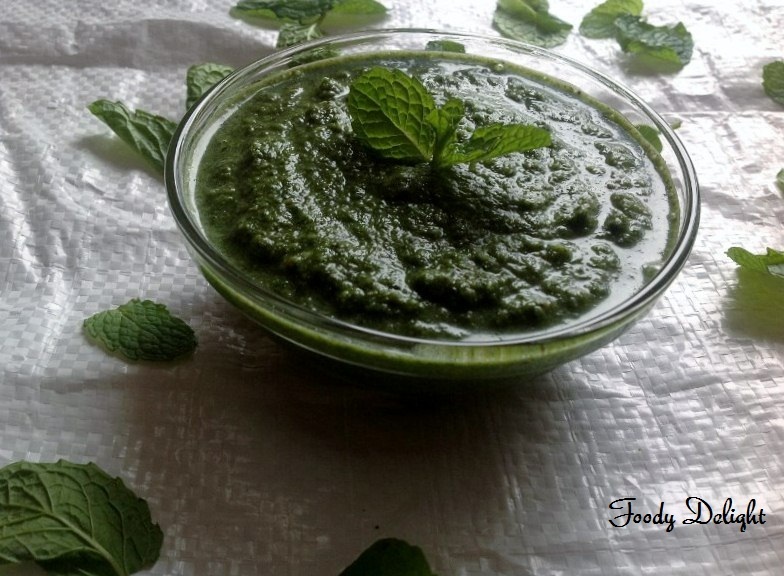 Pudina chutney recipe is a very easy and quick recipe. Apart from cooking, Mint has many health benefits such as it helps in relieves cough, cold, fever and throat ailments, digestion , boosts immunity , reduces the growth of fungus, cleanses the blood, relieves sprains and muscle cramps. pudina chutney is my fav. very yummy.. Very green u... i love its smell..